Did you know that â s’mores is simply a contraction of “some more”? Because it’s impossible to eat just one of these decadent dessert sandwiches and not want more! Luckily, you never have to eat just one, thanks to the Vita Perfetta S’more Bar. Give your guests the ultimate S’more experience! 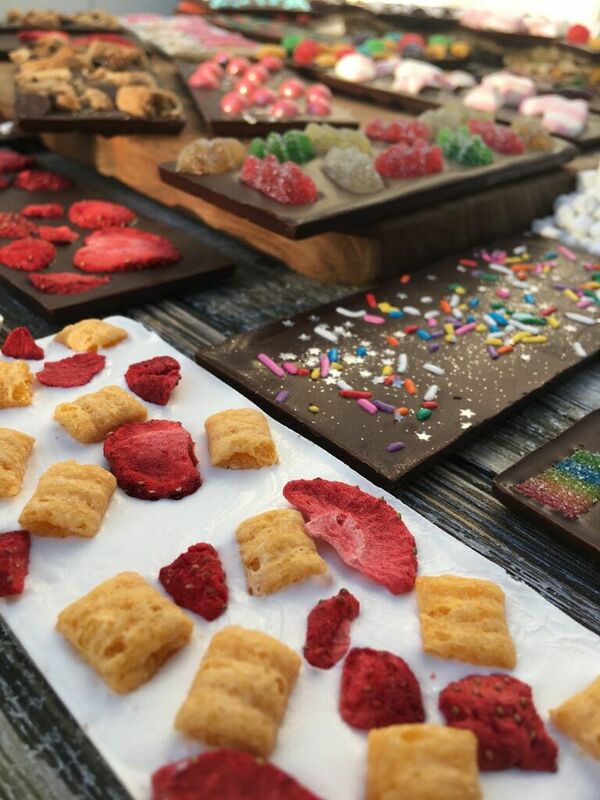 Choose from a buffet of top notch ingredients and customized chocolates to design your perfect graham cracker snack creation. Part 1: The Graham Crackers. Honey, Cinnamon, Chocolate, and Vanilla! Part 2: The Marshmallows. 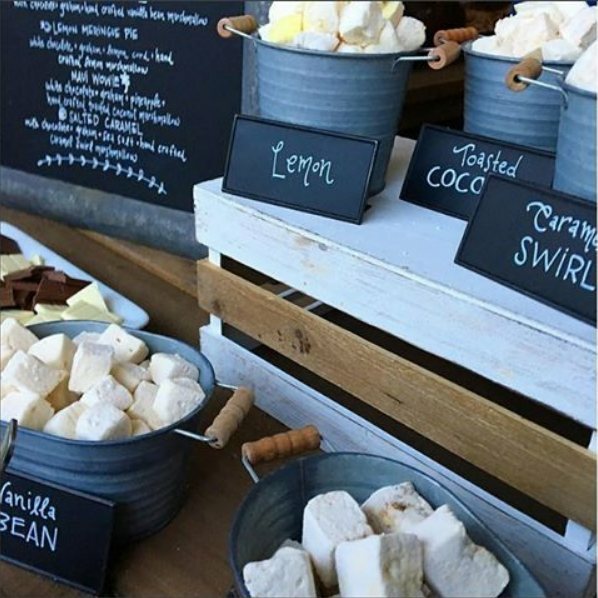 Our S’more Bar includes an array of exotic and handcrafted artisanal marshmallows, including Vanilla Bean, Caramel, Swirl, Chocolate, Chipits, Lemon Meringue, Classic, and more! Part 3: The Chocolate. 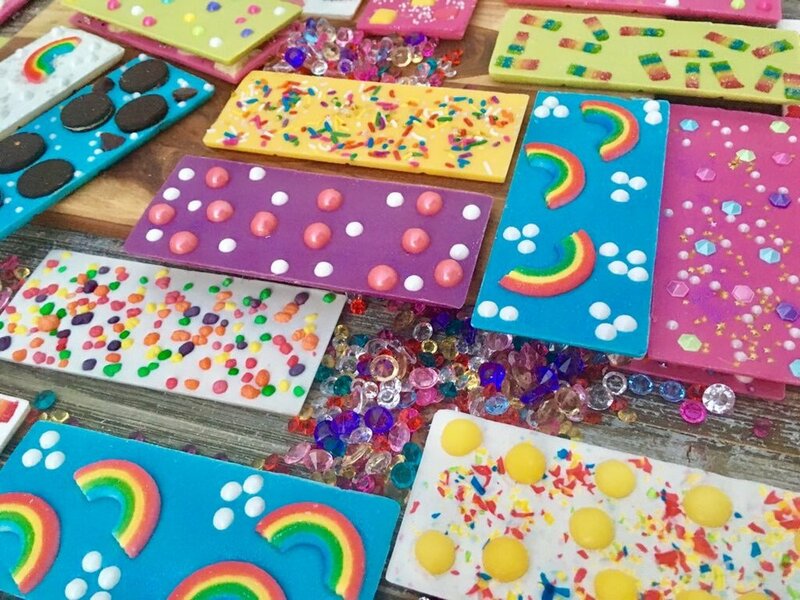 We can create custom chocolates to match the theme of your event! Any color, any design, any celebration, your chocolate will look almost as good as it tastes! Add delicious mixes like sprinkles, chocolate chip cookies, Oreos, and fruits that satisfy any sweet tooth! After you’ve roasted your marshmallows over our mini fire pit, sandwich your s’more together and enjoy your more-than-ordinary s’more, courtesy of the Vita Perfetta S’more Bar!